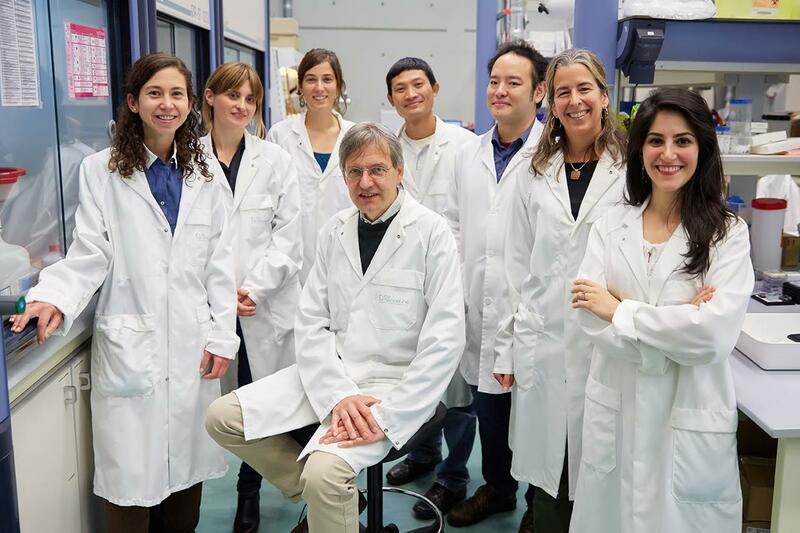 Our group studies and controls the self-assembly of biological (peptides, proteins, and viruses), organic (polyelectrolytes), and inorganic (nanoparticles) building blocks. The assembly systems are applied to the development of novel nanoscale and microscale devices. The Tobacco mosaic virus (TMV) is the textbook example for self-assembly of proteins. We work on additional assembly strategies, such as filling of the 4 nm wide channel by liquids and constructing ultrathin metal and oxide wires, e.g. for virus-based ferrofluids. Our chemical tools are molecular linkers. We steer the assembly of proteins, peptides, and other biomolecules by electrospinning to micro- and nanofibers, with diameters down to single molecule sizes. We elucidate assembly mechanisms with rheometry, Raman spectromicroscopy, S(T)EM, infrared spectroscopy, high speed videomicroscopy, etc. We investigate fluids and wetting of soft matter on the nanoscale, with a special focus on the interaction of water with viruses and other biosurfaces. Our methods comprise AFM and S(T)EM in water vapor. We disassemble electrodes and other parts of commercial capacitors, and analyze them for very slow (electro)chemical and structural modifications with a broad range of mainly surface science methods. We establish self-assembly systems of peptide, protein and/or DNA for the development of a wide range applications from electrical devices to drug delivery systems. This project uses many types of biological, chemical and physical techniques to fabricate and analyze the assembled structures and the devices. We study the biomineralization phenomena of assembled proteins and virus capsids on the nanoscale. Our techniques to obtain the data are synchrotron X-ray diffraction and (scanning) transmission electron microscopy, also in liquids.